I preached to our youth group tonight at our church. I normally prepare a manuscript, study what I have written and then ad lib, following my rough outline in my head. Sometimes, however, I follow a totally different track from what I had planned. Tonight, for example, I was discussing with the kids the idea that we are not to grade ourselves on the curve, and I used the Pharisee in Luke 18:10 as a grand example of the person who thinks God grades us in relation to one another. Unfortunately, I left out a fair amount of discussion that I had planned. Determined that the message would not be consigned to the dust-heap of history, I present to you my alternate ending to tonight's sermon. Notice how I tried to sneak in Calvin's duplex gratia deus there at the end, but in plain English that teenagers could understand. Notice, too, that everything the tax collector brings to God is external - they are deeds. But he cannot say that he loves God or that his soul delights in the law of God, as the Psalmist frequently says (such in Psalm 119). He does not enjoy the things of God - for him, his religion is a burden rather than a pleasure. On the other hand, look at the tax collector - the dirt bag - the scum - the man whom Jesus says went home justified that day. Look at his humility. He has been brought down low by his sin. He has been broken and probably endured a very painful experience struggling with his demons. Ultimately, the tax collector could not hide his sin, he could not remove his sin, and he could not overcome his sin, in and of himself. And so we see that empty-handed, with nothing to commend himself, he steps with trepidation forward and in a near whimper he speaks the simple words which mark the difference between salvation and damnation: "God, be merciful to me, a sinner!" How often do we say to God that we're sorry, when we have not really felt the stinging weight of our sin? Many times, we will confess our sin out of habit, or because it is the "right" thing to do. We ought to ask God to break us with sorrow for our sin, which is appropriate. Notice that the tax collector, even as he asks for forgiveness, will not lift his head. His sin is still very great, and he knows it. There is repentance here. There is sorrow for sin here. There is a sinner in need of a savior. He is us. The question is, are we willing to be truthful with ourselves - and with God - about our condition, about our behavior, about our heart's unwillingness to be conformed to Christ's image? This is where the truth of the Gospel liberates the tax collector. Knowing the full truth of the Gospel of God's free grace and forgiveness, we can come, brokenhearted over our sin and know, confidently, that there is a Savior who will stand in our place, who will adopt us into his family, and clothe us in His goodness, so that all our sin becomes His, and all of His goodness becomes truly and properly ours. Though you and I are very great sinners, and though you and I are empty-handed with nothing to commend ourselves to God, we can take hold of Christ, and HE will become our forgiveness, and the one who enables us to stand up to sin when it rears its ugly head. 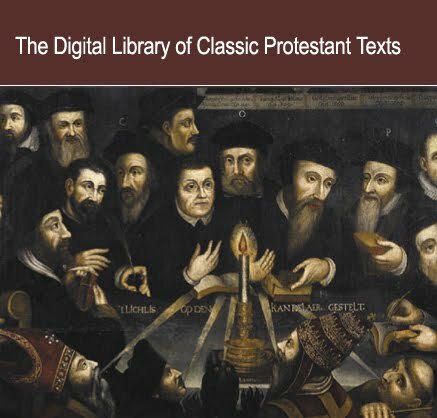 A friend pointed me to this incredible resource for guys like me who are looking for texts of old classic Protestant theological works (of course, with the end in mind of converting the files into Amazon Kindle format). 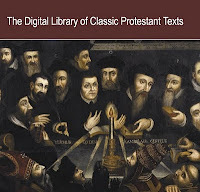 It's The Digital Library of Classic Protestant Texts. They sort the texts by theological schools, differentiating between Anglican, Puritan, Lutheran, Arminian, Unitarian, Quaker, and Reformed/Calvinist. If you speak Latin, they also have Peter Martyr's masterpiece Loci Communes. I found the Perkins writings most delightful because it's so hard to find any websites where Perkins' writings are not being posted in text format, but for excerpts, such as you find at A Puritan's Mind. 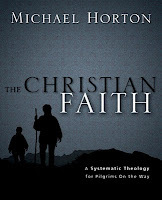 I've seen quite a few bloggers recommending Rhology's review of Bart Ehrman's 2008 book God's Problem: How the Bible Fails to Answer Our Most Important Question - Why We Suffer. Let me throw in my own endorsement of the review, as well. In the review, Ehrman's book receives a brief and cutting critique, but it is then followed up by a masterful and wholly biblical theodicy, which everyone ought to read. I spent the afternoon reading a sermon by American Presbyterian theologian W.G.T. Shedd (1820-1894) titled "The Future State a Self-Conscious State." This was taken from his volume Sermons to the Natural Man. In the sermon, Shedd argues that our quality of knowledge in the afterlife will differ significantly from what we enjoy here. Specifically, Shedd is focused on the knowledge which natural men - who do not know God - will enjoy in the afterlife. Shedd's sermon is based on 1 Cor. 13:12, which reads, "Now I know in part; but then shall I know even as also I am known." I. "The human mind, in eternity, will have a distinct and unvarying perception of the character of God." Shedd - nearly quoting Lewis (anachronistically), says the following: "The future state of every man is to be an open and unavoidable vision of God. If he delights in the view, he will be blessed; if he loathes it, he will be miserable. This is the substance of heaven and hell. This is the key to the eternal destiny of every human soul. If a man love God, he shall gaze at him and adore; if he hate God, he shall gaze at him and gnaw his tongue for pain." II. "He will know himself even as he is known by God." This is so dreadful, says Shedd, because man spends so much time hiding behind willful self-deception, which will no longer protect man once he knows himself as God knows him. III. He will have "a clear understanding of the nature and wants of the soul." Connected to this point, he says the following: "Man has that in his constitution, which needs God, and which cannot be at rest except in God. A state of sin is a state of alienation and separation from the Creator. It is, consequently, in its intrinsic nature, a state of restlessness and dissatisfaction." You must love this holiness without which no man can see the Lord. You may approve of it, you may praise it in other men, but if there is no affectionate going out of your own heart toward, the holy God, you are not in right relations to Him. I just shared the cliff's notes version of the sermon, but it is almost a shameful summary, because it is one of the most glorious and tremendously insightful sermons I have read in recent memory. 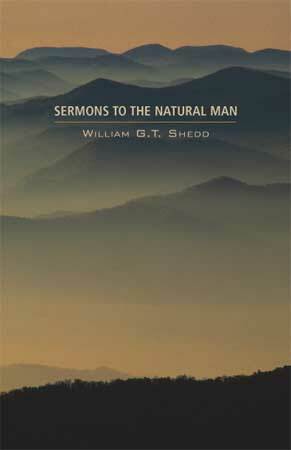 In conclusion, I want to recommend Shedd's volume of 20 sermons in Sermons to the Natural Man. You can get this volume for free in various formats from Project Gutenberg by clicking here. For over three centuries now, atheists and skeptics have catechized the West in the belief that as cultures progress, belief in God or at least the extraordinary divine intervention in nature and history will wane. What proponents forget is that this concept of "progress" itself presupposes a certain kind of faith: an interpretation of reality that requires personal commitment. Among other things, it presupposes that reality is entirely self-creating and self-regulating (autonomous), such that the very idea of a personal God who enters into a world that we have defined as "without God" already precludes the possibility of entertaining specific claims to the contrary...Narrative paradigms are resilient. They can be overthrown, but everyone works hard at preserving them from impeachment. 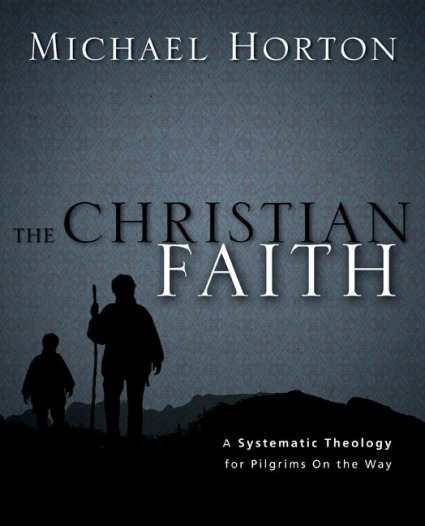 Horton's Systematic Theology is available at Westminster Bookstore for 45% off for one week only. I will personally be taking advantage of this deal. Having previewed the first chapter on the Kindle, I can definitely say that you've never read a systematic theology that was this fresh, this relevant, and this involved in the current theological issues that the Reformed world is dealing with. Yes, your Kindle is a small miracle. Yes, the robots now read to you. Yes, it's incredible. But with great power comes great responsibility, and that means knowing when to say no to your newfound powers. This month is my one-year anniversary with my Kindle, and I've learned that there are pitfalls when it comes to using the text-to-speech function. The text-to-speech (TTS) function is acceptable for relaying narratives such as biographies, histories, and even fictional story-telling. However, there are exceptions to this. For example, something is lost in having Dickens read to you. I'm sorry, but it's true. On the flipside, having the new Dexter novel read aloud to you probably makes the terrible prose more digestible. On the other end of things, there are some things which just do not benefit from text-to-speech. For example, using TTS to read the Puritans for the most part is not advisable. This is because there are just some books which we're supposed to read slowly and think about as we're reading it. Reading Thomas Watson's The Saint's Spiritual Delight is a wonderful experience. But you miss out on so many opportunities for profound reflection when you just let the text fly by you. I could give more examples of this in action, but I think we all know some books that you just shouldn't let fly past you. So today's lesson: just because you can... doesn't mean you should. I leave my house in ten minutes to go to the dentist's office. I have a slight phobia of spending money, ergo, I also am afraid of the dentist. Here are a few ways in which I have tried to strategize for giving God the glory when I go to the dentist. A) God's kindness in giving me a doctor at all. B) God's kindness in the invention of novacaine. C) God's kindness in providing the money to pay the dentist. D) God's kindness in sparing me the pain of further toothaches. 2. I glorify God by trusting in him (Ps. 56:3). A) By trusting that my life is His in all ways. B) By trusting that whatever happens, He is always good. A) By remembering the suffering of Jesus and how much greater it was than what I am experiencing. B) By remembering that my bodily pain is a mercy in that it tells me when damage is happening to my body. C) By remembering how much suffering I truly deserve for my sinfulness and rebellion against God. D) By reminding myself of the pleasures of heaven and how fleeting any pain which we experience is in light of eternity. E) By remembering the suffering saints throughout the world, most of whom would give anything for a toothache to be their biggest problem. I just stumbled across this nugget from Lewis regarding a verse in the book of Revelation. The part about God loving all infinitely might be uncool, but the rest is liquid gold. 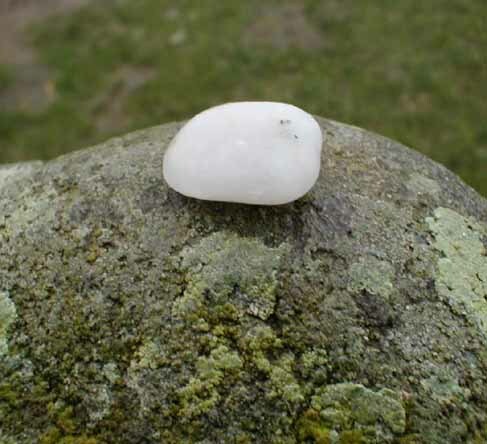 It is said 'To him that overcometh I will give a white stone, and in the stone a new name written, which no man knoweth saving he that receiveth it'. What can be more a man's own than this new name which even in eternity remains a secret between God and him? And what shall we take this secrecy to mean? Surely, that each of the redeemed shall forever know and praise some one aspect of the divine beauty better than any other creature can. Why else were individuals created, but that God, loving all infinitely, should love each differently? And this difference, so far from impairing, floods with meaning the love of all blessed creatures for one another, the communion of the saints. If all experienced God in the same way and returned Him an identical worship, the song of the Church triumphant would have no symphony, it would be like an orchestra in which all the instruments played the same note... . For doubtless the continually successful, yet never completed, attempt by each soul to communicate its unique vision to all others (and that by means whereof earthly art and philosophy are but clumsy imitations) is also among the ends for which the individual was created. Why is God only blessing one family, The linage of Abraham? He seems to be a personal god to the one family (Abraham, Jacob, Isaac, etc) and others must win favor with the family to benefit from God's power. To me this comes off not as a god that loves and provides for his creation so much as a personal mentor/bodyguard for a wealthy family. I could have posted in his comments, but I'm very congnisant of trying not to put long responses in comment sections on other blogs, so I'm hoping he'll read my response that I will post here. When you see God working so narrowly with only one man and one family, keep in mind that the first principle being exercised is God's freedom in choosing (election). The principle illustrated by God's choice of one family is his freedom. He could have presented himself to any family, but he chose to show himself to and link his glory with the destiny of this one man and his descendants, not out of obligation, but freely. 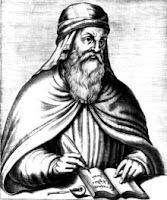 The second principle in God's choosing one family through whom to reveal himself (which is what Abraham and his descendants were) is that there is a universalistic end to this choosing. Recall God's statement to Abraham: "all the families of the earth shall be blessed" (Gen. 12:3). As Biblical theologian Geerhardus Vos once said, "The election of Abraham..was meant as a particularistic means towards a universalistic end." Picture God's revelation of himself as sort of a tree. When creation was young (early in Genesis) God's revelation was very wide, like the roots of a tree - it extended to all mankind through Adam and his children. Everyone knew God through His revelation to Adam and Eve. Eventually, humanity became unrepentant and lived in open rebellion against God and forgot their Creator (Now picture the tree narrowing into a trunk). When God again reveals himself, it is to one man (Abraham). It is at this point that the spectrum of revelation and divine favor narrows to Abraham and his family. However, the end of this narrowing of divine favor/revelation in Abraham and his family is not meant to stay that way. Eventually, in Jesus (yes, this is where all of this is leading - just keep reading the book) the branches of the tree broaden once again when the Gentiles are allowed to be ingrafted into the tree. (Now picture the branches of the tree extending as broadly as possible.) So the end goal is not as particularistic as things look right now, in Genesis 35 and 36. You will have to wait several thousand years, but the end game is much broader than one simple family or nation. Until then, everything that is happening is setting the stage for the Messiah who is to come, under the law, so that he could live in perfect obedience to that law and die for his people. All of this is setting the stage for the One who eventually is to come. I hope this is helpful, Bruce. Westminster Seminary California will be holding their annual conference this weekend on "Christianity and Liberalism Revisited." They are live webcasting the conference. Go here for more details. 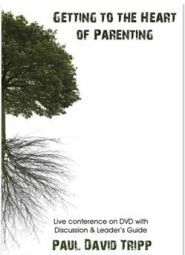 Westminster Books is having a one-week sale on Paul Tripp's video series Getting to the Heart of Parenting for 75% off. I'm mentioning this video because at our church, my wife has been in an adult Sunday School class where they have been discussing parenting. They went through this exact series by Tripp, and it was truly a much needed series for her, and for us. One of the things which Tripp does in this series is emphasize that these are not only people which we are raising, but also that every misbehavior is an opportunity to minister to this person. This small realization alone is worth the price of the videos. I have since seen my wife consistently putting this philosophy into action when dealing with our kids, and we have Tripp to thank for our new approach. We originally bought our own copy of the series for twice what WTS is selling it for, so I recommend everybody buy a copy for themselves and for friends with kids. I really can't recommend a video series more highly. Session 9 & 10: Ages 13 - ? I just came across this post by my good friend Chris Donato. 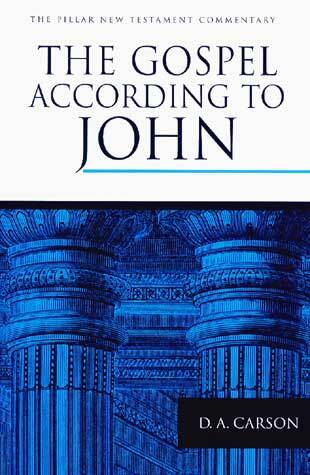 It points to his newly published article in the Harvard Theological Review titles "Against the Law: Milton's (Anti?) nomianism in De Doctrina Christiana," which can be found here. I have not read his article yet, but based on the following abstract, it looks like a worthwhile read. This essay seeks to put to rest the notion that John Milton was an antinomian, by offering a concise summation of the relevant chapters of De doctrina Christiana that discuss his views on the covenants, the law and the gospel, and Christian liberty. Defining antinomian is a difficult task, as its manifestations throughout history have not been monolithic. During the seventeenth century in England, two kinds, broadly speaking, existed: 1) doctrinal antinomianism; and 2) licentious antinomianism. 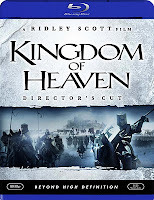 About five years ago, I saw the film Kingdom of Heaven in theatres. 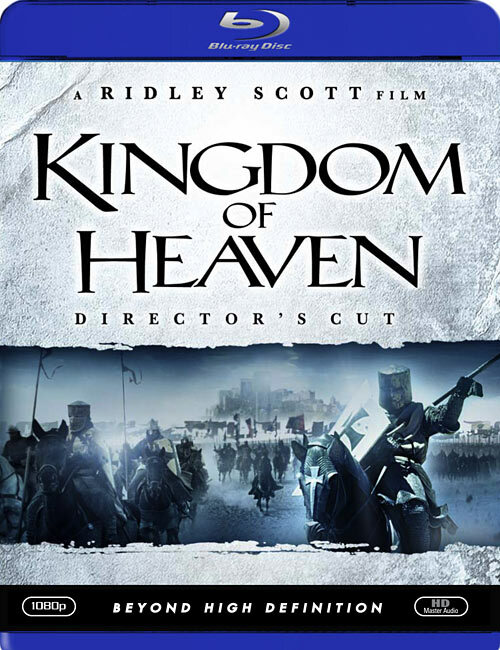 Though the film was a bit heavy-handed in its criticisms of religion and especially Christianity, I liked it, because I'm a sucker for war epics. Two of my biggest complaints of the film were that it was extremely light on telling Balian's (played by Orlando Bloom) story. 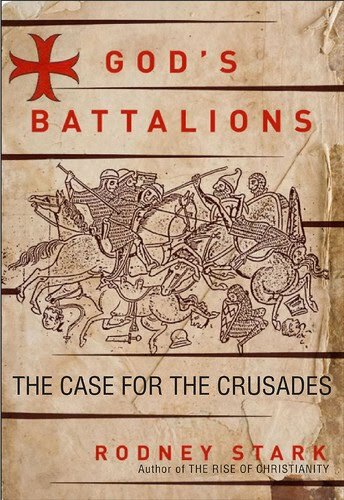 In recent weeks, I finished reading Rodney Stark's book God's Battalions: The Case for the Crusades. My impression of the book was that it is absolutely essential reading. The culture at large sees the Crusaders the way that Ridley Scott portrays them in Kingdom of Heaven: bloodthirsty, savages, murderers. And of course, the conventiona wisdom was that the Muslims - and Saladin in particular were simply gentlemen who invented chivalry. No doubt, many of the crusaders were bloodthirsty, and no doubt many of the muslims were chivalrous. The point is, the contemporary picture of both sides is not robust enough to sustain claims of fairness or accuracy over the long haul. What Stark's book does is paint the larger picture, which I was always missing. Once I read about the second crusade and Saladin's eventual taking of Jerusalem, I immediately desired to see the film for a second time. This time, I watched the Blu-Ray Director's Cut of the film, and I just want to say that - as a film - the Director's Cut is the only version anybody should ever watch. It actually adds a whopping 45 minutes to the film! The storyline in the original theatrical version was so anemic and underdeveloped that it is almost sad to think about how much exposition Scott was forced to cut from the movie so that it could be mass consumed in its theatrical run. 1. My first beef is the way in which the motivation for the Battle of Hattin was portrayed. In the film, Scott made it look as if the Templars were so eager for a battle that they just had to rush forth, losing most of their men to thirst, and then martyring themselves on the battlefield out of zeal. What had, in fact, happened, was that Saladin (the supposed gentleman hero of modern historians) laid siege to the fortress of Tiberius in an effort to force the crusaders to come forth, compromising their main fighting force and strategic advantage - they ought to have remained to defend Jerusalem. When King Guy took Saladin's bait in an effort to save Tiberius, the majority of Jerusalem's fighting men were wiped out. 2. The big problem comes when Balian comes to surrender Jerusalem to Saladin. 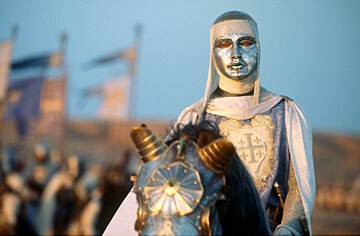 In the film, Saladin swears that everyone will go free - every man, woman, and child. He appears quite generous. In reality, the freedom of Jerusalem's inhabitants was paid for in gold. When not enough gold existed to pay for everyone's release, many were sent into slavery. 3. After receiving Saladin's terms for surrender, in the film, Balian says, "When the Christians took this city, they slaughtered every man, woman, and child" (referring to the siege of 1099). Saladin smiles and replies, "I am not those men. I am Saladin." In reality, the situation was quite complex. The slaughter of Jerusalem occurred after the Muslim occupants of Jerusalem had received an offer for surrender. The Muslims had chosen to fight to the death. A hundred years later, when Saladin took the city, the occupants of Jerusalem accepted the terms of surrender specifially so that the women and children in the city would go free. It is the difference between leadership who says, "Damn the women and children," and the kind of leadership who says, "Let us save our families, even if we lose the city." Last night I listened to a great podcast featuring Rev. Burk Parsons on creeds and confessions. The guys from Covenant Radio did the interview with Rev. Parsons back in December. According to Saint Andrew's webpage, Rev. Parsons serves as minister of congregational life at Saint Andrew’s, and he is the editor of Tabletalk, the monthly Bible-study magazine of Ligonier Ministries. He holds a degree in biblical studies from Trinity College and the master of divinity degree from Reformed Theological Seminary. He is the also the editor of Assured By God: Living in the Fullness of God’s Grace published by Presbyterian and Reformed Publishers. The conversation on Covenant Radio deals with issues and topics raised in Parsons forthcoming booklet Why Do We Have Creeds. The audio for the interview can be found here. Jesus' initial question probes Peter to the depth of his being. He does not try to answer in terms of the relative strength of his love as compared with that of other disciples. He appeals rather to the Lord's knowledge. Despite my bitter failure, he says in effect, I love you - you know that I love you. Jesus accepts his declaration, doubtless to Peter's relief, and commissions him: Feed my lambs.